Note the new Saturday schedule beginning April 6, 2019. Kyu Testing: April 7, 2019, after class. Annual Spring Seminar with Penny Bernath Sensei, 6 Dan Shihan: April 12-14, 2019 at Southland Aikido, SEMINAR DETAILS HERE. 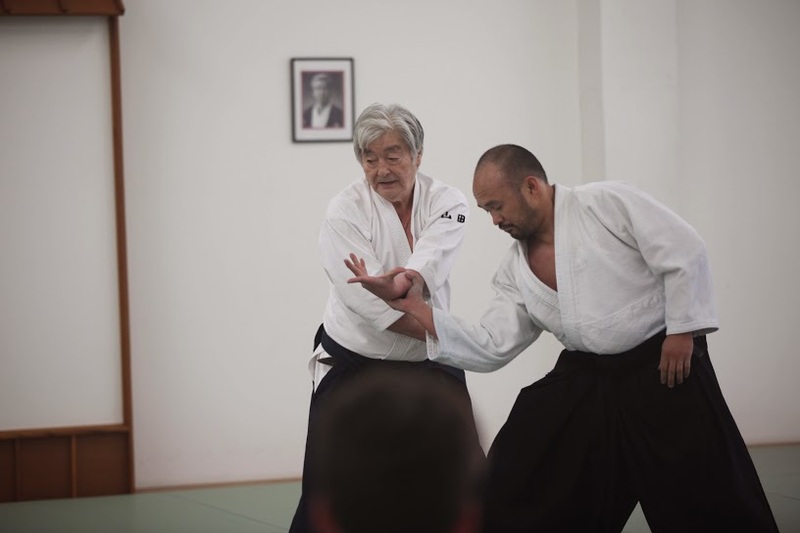 February 24, 2019: Friendship fundraiser class with H. Matsuoka Sensei from Aikido Doshinokai and J. Graves Sensei from Southland Aikido. July 22, 2018: Friendship class with L. Suzuki Sensei from Aikido Kenkyukai International USA and J. Graves Sensei from Southland Aikido. October 16, 2016: The Art of Peace Seminar with L. Ramirez Sensei from North Valley Aikikai, R. Ishibashi Sensei from Los Angeles Aikikai and J. Graves Sensei from Southland Aikido. In 1965, Harvey Konigsberg, a promising young boxer at the time, attended an Aikido demonstration by Yoshimitsu Yamada Sensei and Koichi Tohei Sensei. This soon compelled him to begin his training in Aikido, and by 1970 he was already teaching at the New York Aikikai, the Aikikai headquarters of the USA. One of the original students of Yamada Sensei, Konigsberg Sensei has been practicing Aikido for over 50 years.